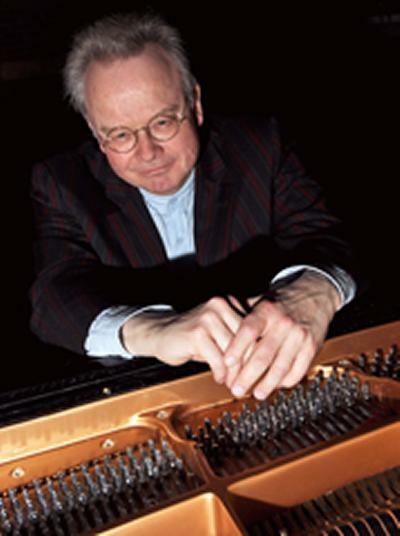 University of Southampton professor and world-renowned pianist and broadcaster, David Owen Norris, will perform the works of great English composers at a special concert in Taiwan this month. Pieces by composers such as Elgar and Sir William Walton are rarely heard live in Taiwan, but it’s hoped the concert at the National Taiwan University (NTU), on Wednesday 14 April, will help change this. “All the music I'm playing is either by English composers, or is very firmly connected to England – English arrangements of Handel, English editions of Mendelssohn with bars unknown elsewhere. It will be new to most of the Taiwanese audience and I'm pleased to be bringing them a first taste of such an important part of our culture,” comments Professor Norris. The concert at NTU in Taipei is part of a wider cultural exchange with the University of Southampton, which will see a music student from each institution swap places for several months. Southampton’s exchange student, composer George Holloway, has been commissioned to write a piece of his own for David Owen Norris to perform in Taiwan. “I particularly admire the lyrical qualities of Elgar and Walton's music,” says George. The repertoire for the concert will also include Sir Edward Elgar’s Pomp and Circumstance (transcribed by David Owen Norris), Constant Lambert’s Piano Sonata and Walter Leigh’s Three Waltzes. Some of the pieces are directly connected with Southampton. Norris will play a version of Handel's Overture to Rodelinda from the music collection of the novelist Jane Austen, who lived for a time in the city and wrote many of her books in the Hampshire village of Chawton. Walton's Prelude & Fugue: The Spitfire is a salute to the iconic fighter plane which was built in the Woolston area of the city, and took its test flights from what is now Southampton International Airport. The University of Southampton hopes to use the concert to build on already strong links with Taiwan. Historians in the University’s School of Humanities collaborate with colleagues in NTU organising biennial conferences exploring comparative perspectives on Western and East Asian societies. Meanwhile, archaeologists are studying the history of the Paiwan people and their ancestors, who live on the southern tip of Taiwan. On a different note, the School of Electronics and Computer Science (ECS) developed technology behind high-efficiency LEDs used in streetlighting, TVs, laptops and mobile phones. This led to the formation of the Taiwanese start-up company Luxtaltek, which ECS continues to work with on research projects.